The Hallamshire Hospital in Sheffield being built with cranes clearly visible. 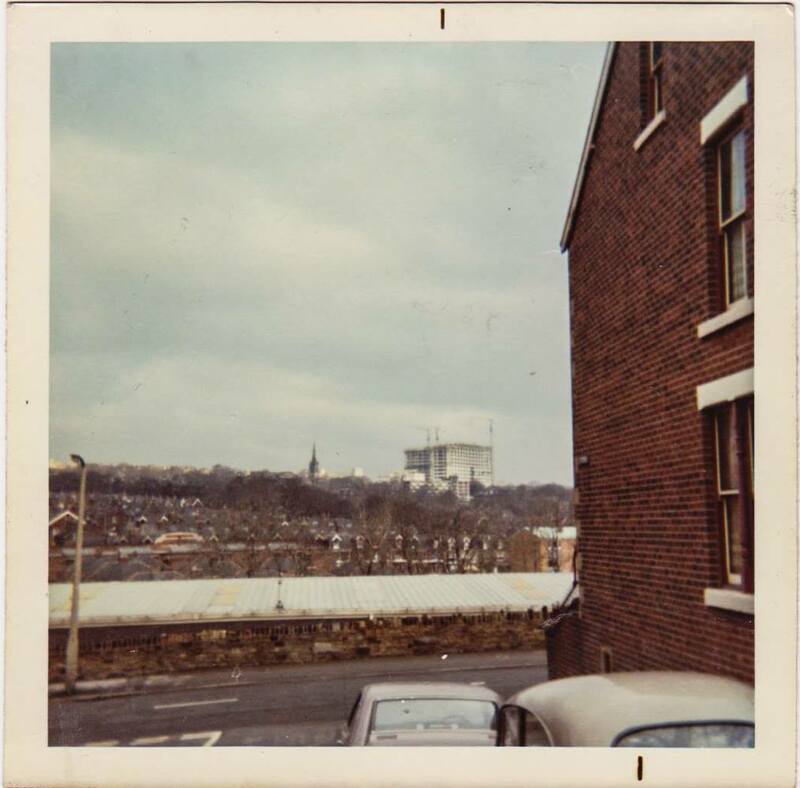 Photo taken by Michael Hardy in March 1972 from his back yard off Sharrow Vale Road. The original contractor ( Shepherds of York???) went bust and the contract had to be re-tendered after work had started.